First spotted by Ars Technica, the Valve Index website reveals just enough about the headset to merit some serious excitement. For starters, it’s got two big wide-angle cameras, implying that it will support inside-out tracking so that either external tracking stations are optional, or so that tracking is better all-round. On the left you can see that it also has an IPD (interpupillary distance) slider to accommodate for people with abnormally spaced eyes. This suggests that it’s meant for the mass market. Dialing up the brightness and the contrast, and you can see four small dots on each side of the headset. They look somewhat similar to the infrared dots used for tracking on the HTC Vive, so regardless of the Index’s ability to inside-out track, it will most likely support Valve’s SteamVR tracking stations, called Lighthouses. The Index doesn’t come as a big surprise. In November last year, several pictures of the Index were posted to Imgur. The design is a bit different than seen in today’s images, so they were most likely prototypes. The pictures do suggest that the Index will come with similar cheap on-ear speakers as the Vive and Rift, which is a bit disappointing. 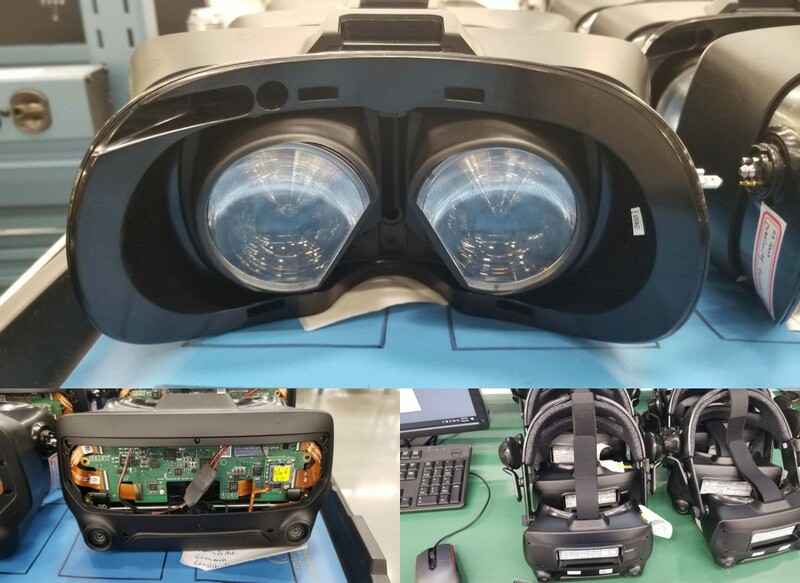 Citing anonymous sources, Upload VR says that the Index will feature a 135° Field of View, which is somewhat better than the 110° FOV that both the Vive Pro and Rift S have. They also say it will come with the same 2880 x 1600 resolution as the Vive Pro, which is a hair better than the 2560 x 1440 on the Rift S.
Upload VR also suggests that a Half-Life game will launch with the Index, though that might be a bit of a stretch. On the other hand, Valve co-founder Gabe Newell did confirm that Valve was developing three VR games back in 2017. "Right now we're building three VR games," said Newell. "When I say we're building three games, we're building three full games, not experiments." Valve's "knuckles" controllers, multiple iterations of which have been sent out to developers since 2016. If you’re curious about why Valve would make a headset, Newell explained that back in 2017, too, foreshadowing the Index. "What we can do now is we can be designing hardware at the same time that we're designing software. This is something that [Nintendo's] Miyamoto has always had. He's had the ability to think about what the input device is and design a system while he designs games. Our sense is that this will actually allow us to build much better entertainment experiences for people." While we don’t know exactly what will arrive in May, be it a full release or an announcement, Valve’s certainly picked an interesting time. 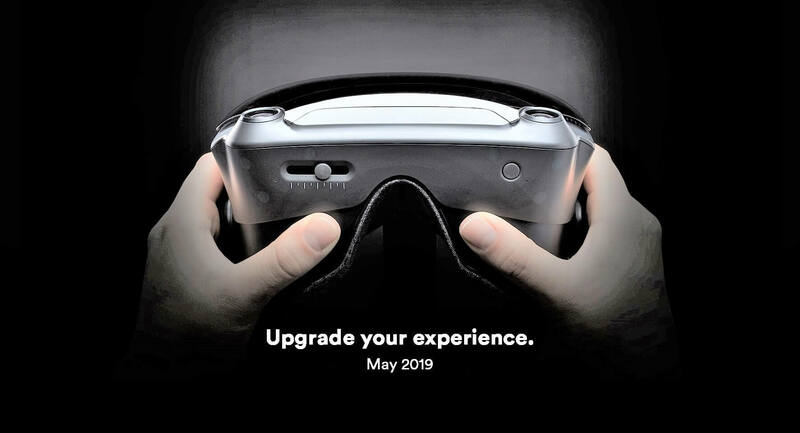 The Oculus Rift S, Oculus Quest and the HTC Vive Focus Plus will all be launching around that time – can the Valve Index steal the show? THREE games. I mean...do I even need to say it? Kibaruk, SalaSSin, TomSEA and 1 other person like this. Competition is ALWAYS welcome and means that consumers will have more choices and probably see a further reduction in prices but they will have to reach out much further than three games. Is their a "standard" for these units? If not, there certainly needs to be soon or the war between competitors will just get worse and the public (if they are smart) will stop buying until compatibility is the standard. Valve has no problem creating any number of games, it just can't have '3' in any of their names. Even just looking at HL2, we had HL2, HL2 Ep.1 and HL2 Ep. 2, which, logically, were the first, second and third episodes of HL2. I fully expect Valve to continue this trend and never reach 3. 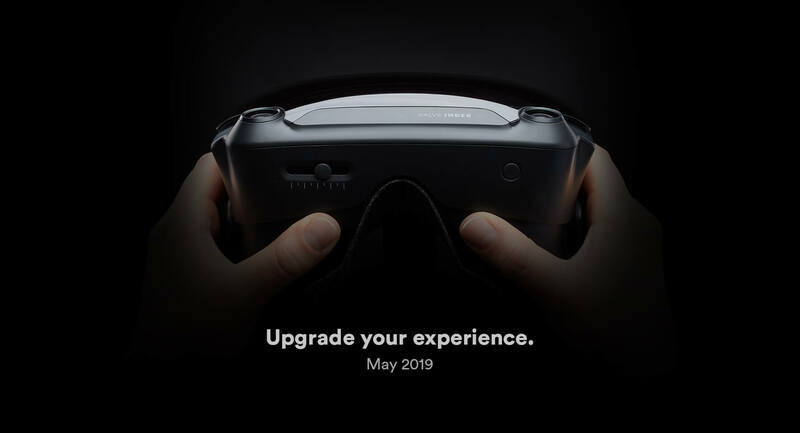 Until VR has standard connetions, standard setup requirements and a wireless HD standard...it's gonna continue to be a short lived gimmick that falls flat after initial sales. Short lived? Is that why every big company is jumping into the ring? Google, Apple, Microsoft, Samsung, Sony, Valve, HP, Lenovo, Facebook, ect. The last time this many big tech companies got into what people at the time though was a "fad" was the Smartphone market. Quality games first. Not dropping any more money on a tech replete with shoehorned games, shallow experiences, and tech demos. You do know that AAA studios like Respawn entertainment are making VR games right? The same guys who made Apex. Ok I'll bite, please tell me all about the standards in the voice recognition world, or how about virtual assistants? Are these going anywhere soon? Edit: Don't get me wrong, having standards is the way to go in every scenario, but I don't think this is fading away, it has actually gotten a lot of traction since the early days of VR.